HPA would like to thank all of the sponsors and coaches who came out to help make our Summer Female Camp a great experience. This camp was designed for High School Female players, and was coached by a combination of professional training coaches, college players and former/current professionals along with two of our sponsors. Physiomotion Physical Therapy & Wellness​ came and ran three amazing informative courses for the first 70 minutes of the camp. Their focus included Injury Prevention, Biometrics, and Nutritional Education. Physiomotion’s owner, Jason Gray, who led the camp exercises, says that their mission is to “minimize the occurrence and impact of injury through development, education, and training unique skills”. Here at HPA, we know that the injury can occur to many of our players, which is why it is important to know these injury prevention basics. This camp wouldn’t have been possible without the help of our coaches. HPA coaches, Tyler Schoenfeld and Beau Diaz, were also present to help assist with the camp’s agility drills. 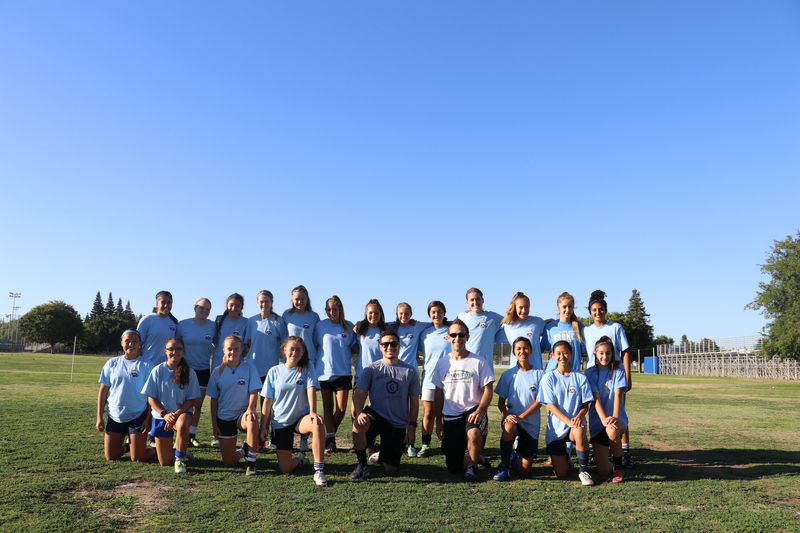 Along with them, our female camp had the opportunity to train with a couple of Fresno’s soccer professionals. Kayla Calmes, center-back for Fresno Freeze and Fresno State’s women soccer, was out supporting our female camp with her experience and current knowledge of the game, which keeps her playing in high level. With her, Alphonso Thompson, Fresno Fuego’s strength and conditioning coach was out running warm-ups and showing appropriate stretching movements to the group that will keep them performing at a high level. With Fresno’s warm temperatures, HPA’s Sponsor, Pops Emporium was also out with us on our last day of camp, handing out some of their delicious strawberry and pineapple popsicles. Thank you again to all of our sponsors and coaches who were able to make our first female camp an amazing experience. We look forward to working with you all again soon.